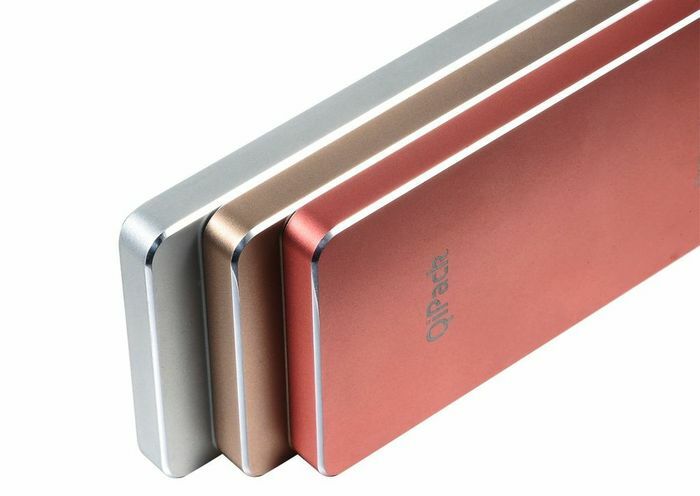 The very sleek looking QiPack is a wireless portable charger that can charge absolutely any smartphone currently available. With its looks similar to an iPhone, it can easily be mistaken for one if you don’t look carefully. By looking at it in detail, what can the iPhone-like wireless portable charger offer to catch our eye? From going through the images provided by QiPack, it seems that the colors available are black, silver, bronze, and copper. It will also be made out of alloy steel providing a strong build with beveled edges to give a nice and sleek design. The QiPack is focused on being easily portable, and that meant that its size and weight matters a lot. With it only being 8.9mm thick and weighing just around 105g, it is easy enough to bring around or even slip into your pocket. All the ports, buttons, and indicators are all on the sides of the QiPack at the bottom half of the device. Starting on the left side at the bottom, you’ll find just the On/Off button, and at the opposite side with the LED Indicators for showing the battery levels. At the bottom are two ports, one is a Micro USB port for charging the QiPack and to its left is a standard USB port for charging other devices. By having two charging methods, it covers all the needs for most devices to be able to charge. The micro USB port on the QiPack has an output of 5V, 1A, enough for a smartphone but a bit slow if you are charging a tablet or anything with a large battery. 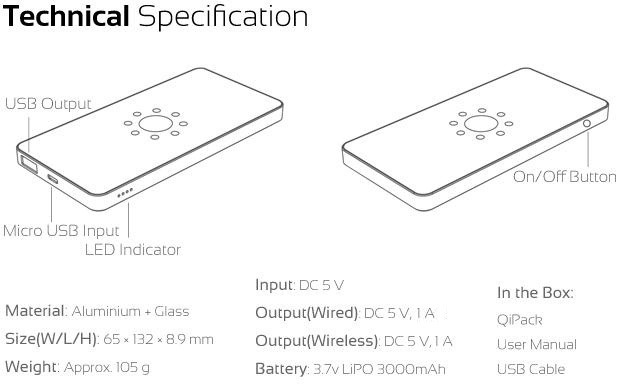 The Qi-enabled wireless charger right on top also has an output of 5V, 1A, it’s not record breaking speeds, but should be enough for your wireless charging needs. It is not announced though if the QiPack can charge two devices simultaneously. 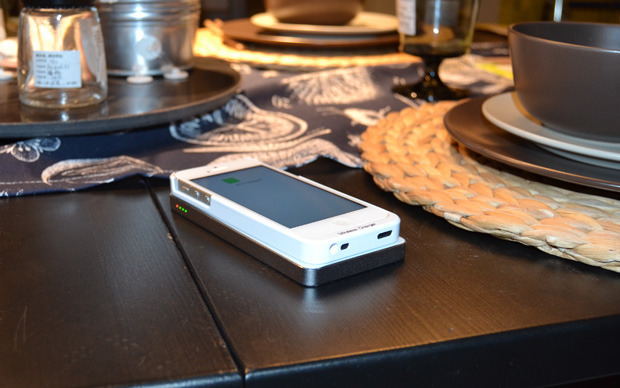 The battery on the QiPack is a healthy Li-Po 3000mAh, enough to give one full charge for most smartphones. This won’t be enough though to give a full charge to most tablets but it should be enough to have them running again for a few hours. The QiPack is currently on Kickstarter with only a few days more to go, so hurry up and visit their Kickstarter page. They currently have the QiPack at $45, 30% off its future retail price. They also have other options available that has a bundled wireless charging coil/case receivers for a little more cash. With only the rest of the week left, needing less than $8,000, it is getting quite exciting trying to squeeze up enough pledges to get this project running.